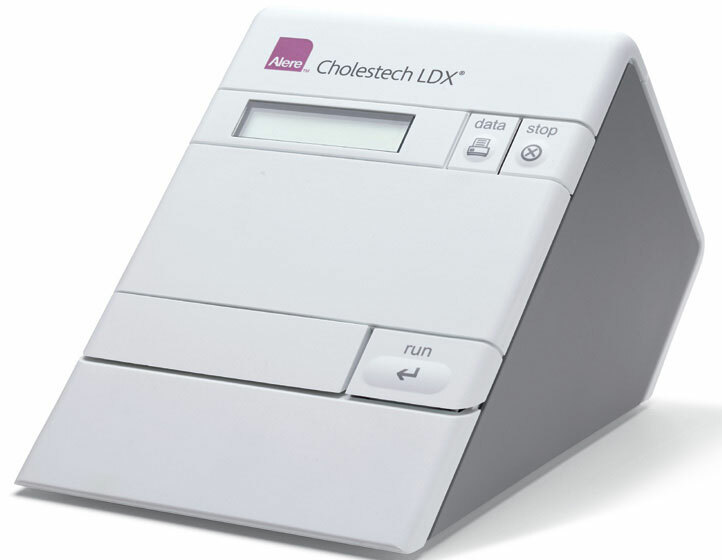 At least 40 boxes of TC·HDL·GLU Cassettes (item #10-990) and receive: a certificate to replace a non-functioning Alere Cholestech LDX® Analyzer (value of $1600) or Alere Cholestech Universal Printer (value of $426.35) at no additional charge. For this offer, once you have purchased the necessary products, e-mail a copy of your invoice to LDXprotectyourinvestment@ alere.com and include your contact information (name, address, phone, and email address) to receive an electronic copy of your certificate. Alere Technical Support will have your certificate online. Certificates expire 1 year from date of issue. Limit 10 per customer. Any discounts, rebates or other price reductions (collectively referred to herein as “discounts”) issued to Customer may reflect discounts or other reductions in price within the meaning of 42 U.S.C. Section 1320a-7b(b)(3)(A). Customer may have an obligation to report such discounts to any State of Federal program that provides reimbursement to Customer for the items to which the discount applies, and, if so, Customer must fully and accurately report such discounts. Further, Customer should retain invoices and other price documentation and make them available to Federal or State officials upon request. Promotional period is listed under each offer. All required purchases to qualify for promotional offers must be made during the promotional period. Customers may be required to complete a form to receive these promotional offers and must purchase required quantities on the same from the manufacturer after the close of the promotional period. Please allow 4-6 weeks for delivery. © 2019 Abbott. All rights reserved. All trademarks referenced are trademarks of either the Abbott group of companies or their respective owners. Any photos displayed are for illustrative purposes only. CVD219141 10003954-03 03/19.